According to History.com, Ward Hill Lamon, Abraham Lincoln’s former law partner, friend and sometime bodyguard—told a famous story about the 16th U.S. president’s premonition of his own death. According to the tale, just a few days before his assassination on April 14, 1865, Lincoln shared a recent dream with a small group that included his wife, Mary Todd, and Lamon. In it, he walked into the East Room of the White House to find a covered corpse guarded by soldiers and surrounded by a crowd of mourners. When Lincoln asked one of the soldiers who had died, the soldier replied, “The president. He was killed by an assassin.” (Interestingly, Lincoln supposedly later insisted to Lamon that the body on display was not his own—so he himself did not view the dream as a portent of his own demise.) Some historians have cast doubt on Lamon’s account, which was first published in the 1880s, nearly 20 years after the assassination. Though Lamon claimed to have reconstructed the incident based on notes he made in 1865, it does seem odd that neither he nor Mary Lincoln mentioned the dream right after the president’s murder. Even if Lamon’s story isn’t true, Abraham Lincoln was apparently quite interested in the meaning of dreams and what they have to say about future events both positive and negative. Proof of his curiosity lies in an 1863 letter to his wife, who at the time was in Philadelphia with their 10-year-old son, Tad. 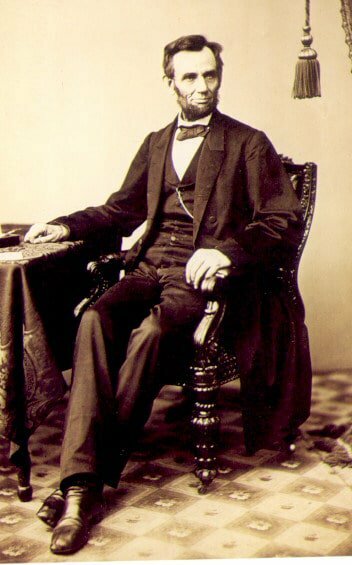 Lincoln writes that Mary had better “put Tad’s pistol away” as he “had an ugly dream about him.” Moreover, members of Lincoln’s cabinet recalled that, on the morning of his assassination, the president told them he’d dreamed of sailing across an unknown body of water at great speed. He also apparently revealed that he’d had the same dream repeatedly on previous occasions, before “nearly every great and important event of the War.” This story again points to Lincoln’s interest in the predictive power of dreams—but it doesn’t offer hard evidence that he foresaw his own death. After the sinking of the Titanic in 1912, hundreds of people reported that they had dreams and premonitions of the ship’s demise. Nineteen of those experiences were authenticated. MLK had a dream that seemed to predict his untimely death. Mark Twain dreamed of his brother’s death 3 days before his brother was killed in a riverboat accident. The details of Twain’s dream and the actual event are strikingly similar.